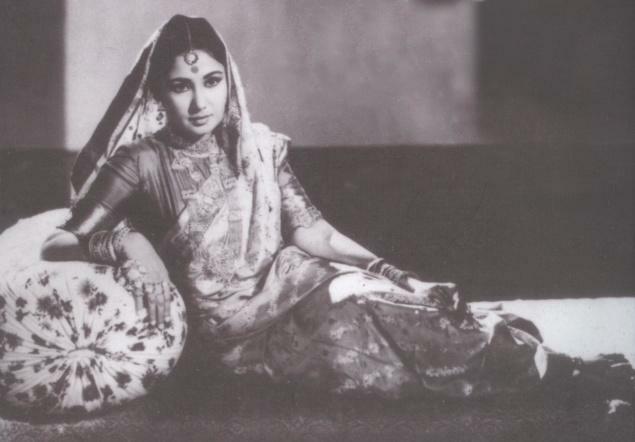 Sahib, Bibi aur Ghulam is set in 19th century Calcutta. The women who appear in the film belong to different classes. 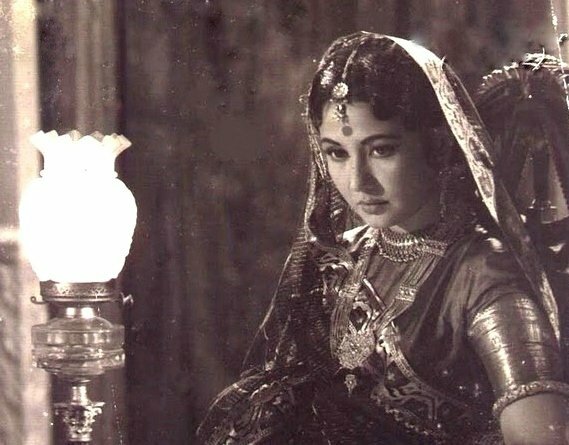 Of the two main characters Choti Bahu (Meena Kumari) belongs to the feudal, zamindari class who are presumably Orthodox Hindus. 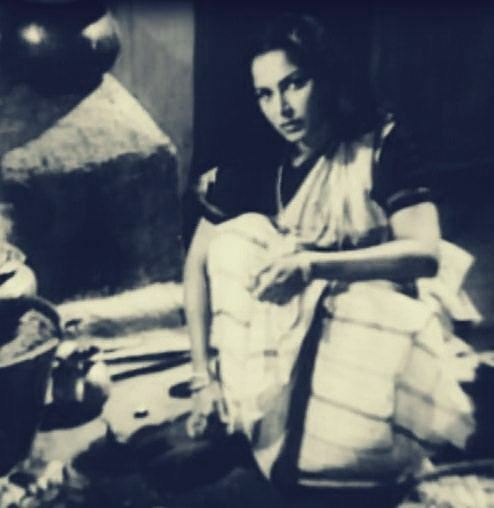 Jaba (Waheeda Rehman) belongs to a Brahmo family, at the time the reforming, modernising part of Bengal society. The film also has a few song sequences set in the dance houses that the zamindars frequent. And there are the servants in the zamindari estates, e.g. Choti Bahu’s dresser. As the pictures indicate the women are differently attired and fairly accurately in keeping with their social status/period. Choti Bahu is in jewels and silks, Jaba’s light coloured simple saris are pinned to lace edged blouses with a brooch. The dance house/kotha sequences use Kathak costume and are presumably of the time. And as the last picture shows, the working women who served in the zamindari houses held on to the old custom of not wearing a blouse. 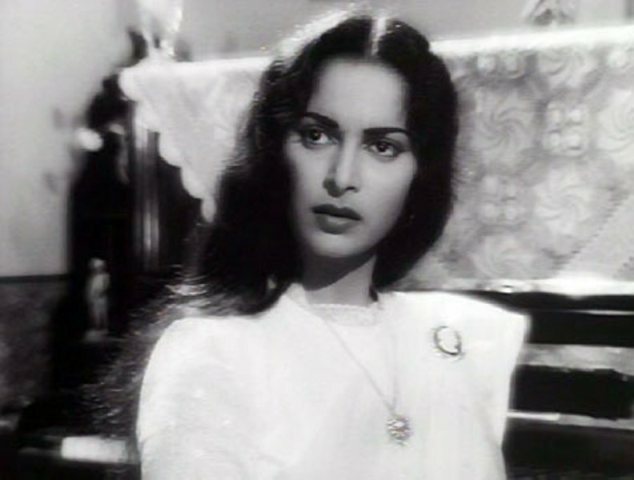 This entry was posted in India, Period Drama, Sari Blouse, Vintage and tagged india, indian cinema, Meena Kumari, Minoo Mumtaz, Sahib Bibi aur Ghulam, sari blouse, vintage, Waheeda Rehman. Bookmark the permalink.